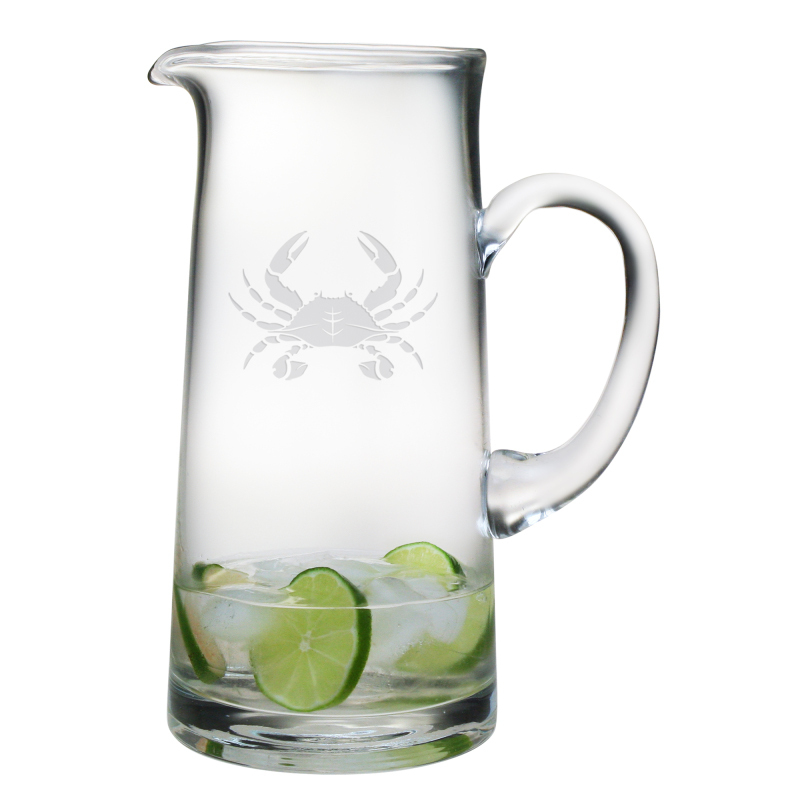 Crab Etched Tankard Pitcher is perfect for any beverage when entertaining at your coastal home. Bring this charming Crab Pitcher to your nautical themed dining table. Your guest will be impressed with the quality and design of this Crab Pitcher. Did you know that the crab signifies prosperity, success and high status in Chinese symbolism. So our etched design Crab Glassware makes a great gift with meaning.